Stuck in traffic? Can't find a parking space? DASHBOARD JESUS is a nice addition to any car for that extra added support from up above! 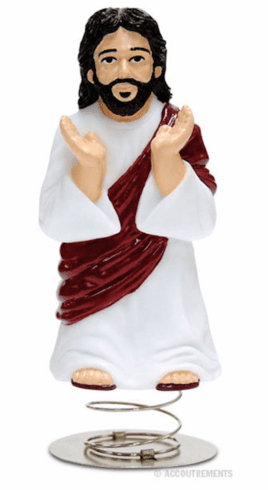 This figure is 4 1/2" tall and made of hard vinyl and metal with an adhesive base.